"With so much to do, you'll never need another DS game"
Since the introduction of Pokemon on the videogame market in the late 90's it has without a doubt become one of the most popular series ever. This is dependent on many factors; the games are easy to get into but require some strategical thinking to win, they really make use of the "collector's mind" you've got in you, and they took social gaming to another level through innovative trading and exciting battles. While bringing the Game Boy to school has been traded for the DS Wi-Fi Connection (local trades are still possible), the trading part is still a necessity for a Pokemon game. So with the fourth generation of Diamond/Pearl/Platinum that was released for the DS, a new source of the old Pokemon were needed to minimize the generation hopping. Cue in - Pokemon HeartGold (and SoulSilver, though I've only played HG). HG and SS are remakes of the second generation games called only Gold and Silver, but instead of just doing a quick remake a lot of stuff has been added and tweaked to make it as good as possible. The graphics are, thankfully, the classic Pokemon graphics updated to fit the new resolution. Why I say thankfully, you wonder? Because often when games are upgraded with new graphics they often go for a graphical style which might not fit the type of game, or will look outdated very quickly. Final Fantasy III for the DS is a prime example of lo-fi 3D which is really more distracting than good. Also, the Pokemon Stadium games for the N64 showed that just because it's 3D it doesn't automatically get more awesome, so I think going for a 2D style like the older games are just the correct choice not only for nostalgia but for usefulness too. All gameplay stuff is carried out on the top screen, and the bottom screen is used mostly for menus, both during battles and in the field. The normal gameplay isn't entirely 2D though, which makes it all a bit interesting. While it really looks like 2D most of the time, sometimes a 3D effect comes up, like when entering a high building and often gyms use some form of layout to show off some depth. I'd guess that the technical reason to this is that the game uses some sort of flat sprites on polygons, kinda like Paper Mario but a square instead of flat - I don't really know but it's looking really good. All characters you meet have the same style as they used, but in the higher resolution than the GB screen, and environments really look bright and colorful and sometimes the weather effects change. One really nice thing which has returned from Gold and Silver is a very visible day/night cycle; the game is using the DS clock to keep track of time, and at night it'll be dark with lights on; it just helps you feel like you're really in the game world at the exact time you're actually playing. During battles, everything will be totally 2D with your Pokemon closest to the "camera" and a front view of the opposing Pokemon. Here's another reason why it's better with a 2D approach than 3D; in Pokemon Stadium it always looked weird when an attack like Tackle didn't actually make the two Pokemon connect. While it's the same in this game, it just gets much more apparent in a game that is in three dimension. Overall, since the sprites hold very high quality and most attacks have nice animation, there's no doubt that the graphics will hold up better in the future as they are now than if they had been in 3D. It's crisp, it's detailed - it just works! The music in this game will be pretty familiar to old Pokemon fans. Many of the tracks are rearranged and updated versions of the original songs found in earlier generations. While it might sound repetitive to hear the same stuff again, much of the entire Pokemon experience is built around recognizing everything, and you especially need to remember that HG and SS are remakes. Also, the rearrangements are done nicely enough to utilize the entire "power" the DS system has to give, which is quite different from the GBC. A fun feature is that (very late in the game though) you'll gain access to a device which lets you listen to the original sounds. That way, whatever you like best, you can have it. Sound effects are good too. At first I was a bit disappointed over the fact that even with a DS we still couldn't get the Pokemon to say their name but instead we just get a growl of sorts, but then I realized that the name thing started in the anime and was never meant as canon for the games. Especially when you think about it; while there are many Pokemon which sound good saying their names, some would just sound incredibly stupid. So the growls are fine, even if they sound a bit more like they're kept old-school than the music does. Since Pokemon is a pretty basic game revolving more about strategic thinking than fine tuned jumps or anything like that, precise controls aren't really necessary. Still, the game make good use of the DS and the buttons. The D-pad is used to move around while in the field, or to move the menu marker when in menus or battles. A is the interaction button, used for picking up items, talking to people or to activate a selection in the menus. B is used as a counterpart - backing out of menus or select the negative response to an input, a bit into the game B will also let you run instead of just walk, which is good for getting around quicker. X is used like in many other RPGs; to access the main menu. Older console generations used start for it but the change to X (or whatever button it is on a particular controller) happened to console RPGs because X is usually better positioned than start, and that's especially true for the DS console. A nice addition is that all menu navigating can also be done with the touchscreen and the stylus, if that's your cup of tea. I don't really like it since you still need the normal controls to walk around (and thus my two hands are already in use), but it's good to see that it's there since the system supports it anyways. Overall, the game is easily controlled, since you walk around in a kind of square/grid pattern it's easy to line up for wherever you're going and the menu navigation always feel logical. The Pokedex is a bit harder to look through than earlier generations, but in turn it's also full of much more info. This is another thing which pretty much got reused over the generations. Or does this sound familiar; a 10-year old boy or girl, wanting to be the very best, wanting to catch pokemon and train them, traveling across the land to find opponents to fight against. Win badges to show proof of good leadership, and maybe encounter an evil organization with "Team" in it's name? Even if this is only a remake of the second generation, that's been the story of all the Pokemon games I've played. The thing is that it's not really much the main story that matters, but more that you and your pokemon actually has a reason to fight these increasingly tougher battles. Just running around beating up wild pokemon would quickly become boring, but in the end it's more a story about a boy (or a girl) and his (or her) pets and their friendships than actually trying to rid the world of evil. It is all quite interesting, because the bond you'll feel with your main team of pokemon will much likely be stronger than the bond you feel with most game heroes today. It's possible that's mostly because pokemon remind you of pets or animals, but that silent companionship is still fantastic. The feeling of the world is also really immersing, with a culture reminding pretty much of ours but with the difference that it broke the timeline somewhere when pokemon came along and totally took over how humans thought of the world. Even if it's just a portable game, letting yourself getting sucked into the world and actually becoming your 10-year-old self becoming a great trainer is pretty easy, which is an amazing feat by a DS game. When it's like that, it doesn't matter that the story is basic, you still love it all the way. Ok, you probably already know a bit about how Pokemon works, but in case you don't, we can have a rundown. Every main series Pokemon game plays out like a JRPG, that is, instead of using direct attacks from button inputs to harm your enemy, all your attacking will be done through menus. Instead of the player getting much better (though in this case, you can get better at teambuilding and strategies) your characters, in this case Pokemon, will gain levels by defeating enemies, which in turn will raise their stats like attack, speed, defense, HP. HP is short for Hit Points, and when attacked a Pokemon will lose hit points; let them reach 0 and that Pokemon will faint and have to switch out until revived by an item or at a Pokecenter. Unlike most JRPGs where there are usually three to four characters on the battlefield at one time, Pokemon battles are almost always one on one. Your team, though, can consist of six Pokemon, and you are able to switch out anytime and are forced to if you get knocked out (in single player you also get that offer when an opponent Pokemon is knocked out). Building a team is essential to how well you'll fare, since each Pokemon has one or two types out of 17 available, and these types have a rock-paper-scissors relationship to each other, meaning that an ice move will be effective against a grass type Pokemon, but the ice-type will be hit hard by fire. As seen by the previous example, moves are also type-based, and a fire type Pokemon might very well have a water type move. Most Pokemon will learn an array of moves as they reach levels, and you can also use items or tutors to teach your Pokemon moves, and there's only one real limitation - a Pokemon can only have four different moves at its disposal. This means you need to weigh your choices carefully - stat altering moves is that a possibility? But you also get a boost in power if the Pokemon type matches the move type, so go for that or throw in something different that might catch an opponent off guard? So obviously, building a team is a huge part of the strategy of the game; you need to have as few weak spots as possible, while spreading your attacks so you can be an well oiled attack machine. But how do you do to get Pokemon on your team? Well, here's the great part - you catch them yourself. Some, like the first Pokemon you get in the game, will be given to you, but most you'll have to get out there and get yourself. To catch Pokemon you'll need items known as Pokeballs, which come in different varieties like one better for catching sea Pokemon, one for heavy, one for Pokemon in caves... But at any time when walking in high grass, clearly marked areas that are usually found on routes between the towns you visit, you can be ambushed by a wild Pokemon. In that case, you'll have two choices - do you want to defeat it, or do you want to catch it? If you want to defeat it, you can just attack it till it faints and then just get some experience for your troubles, but if you want to catch it you can try to throw a Pokeball at the start of the fight, but that's unlikely to succeed - what you want to do is to get it's HP down, and maybe inflict it with one of the four status problems - Poison, Sleep, Paralyze, Burn (these work pretty much like any other RPG statuses out there). The weaker it is, the easier it is to catch it. If you succeed, the Pokemon will either be added to your team or, if your team is full, be sent to the computer storage where you can store an additional 540 Pokemon. In addition to that, if you don't previously own a Pokemon of the same species, it'll be registered in the Pokedex. That's basically the goal of the game - to register all 493 Pokemon in your Pokedex. In addition to being given Pokemon and catching them yourself, you'll also have to get some from other means. Evolving is one of the main ones, which means that when certain conditions are met, like raising the Pokemon to a certain level or giving it a special item, it'll evolve into another Pokemon and the evolved form will be registered in the Pokedex. There's also a number of Pokemon not available in HeartGold, which you'll have to get from different sources - SoulSilver, Diamond, Pearl or Platinum. There will be a lot of trading that needs to be done, and you can do this either online with people you have a Friend Code for, locally or through the Global Trading System where you put up what you're looking for and what you're offering in return. It's a nice idea, but the GTS is somewhat spoiled by people who request impossible trades (a lvl 9 or under Dragonite - it doesn't evolve to that until 55) or just idiotic (a super-rare Pokemon for a Rattata... sure!). But overall, it's great to see how the trading scene has evolved, and even if Pokemon isn't as popular among your friends nowadays you still can get a complete Pokedex. Anyways, building your team wouldn't be very fun unless you had someone to fight. That's where the towns come in. While most of the Pokemon catching will take place in tall grass or caves during your travels, when you reach the resting places, the towns, another challenge will start. Almost every town has three distinctive buildings - the Pokecenter, where you can heal your party Pokemon to full health for free (unlike IRL vets). A Pokemart, where you can buy items such as Pokeballs, status removing items, HP refills, or repels to ward off wild Pokemon. Then there's the gym - while you might cross paths with some trainers on your travels, the gyms are where the tough guys reside. Usually together with a handful of underlings, the gym leaders are the bosses of the Pokemon universe. There are eight of them in Johto, and your first goal will be to beat all of them and then defeat the Elite Four; a quartet of highly skilled Pokemon trainers. All the trainer battles will be a bit different from wild Pokemon battles; while you only meet a single Pokemon every time in the wild, a trainer can hold up to six Pokemon just like you, and use items too. The thing that eases up the gym battles somewhat is that every gym has a distinct type theme, meaning that if you've got trouble, you can always go out there and get some Pokemon effective to that type. While that's the basis of Pokemon HeartGold - battle against trainers and gym leaders to get badges, trying to catch every Pokemon out there, there are still so many things included in the game that this review hasn't even touched yet. There are events only available on certain days of the week like Bug Catching Contests, free item handouts and certain radio shows you can listen to. There's a Pokeathlon which is basically some minigames where you can compete with your Pokemon, and it's not just thrown in there - it's a whole game mode which can easily take many hours to complete if you want to get all the medals. There are also the Battle Frontier locations where you'll find the real tough trainers; it simulates the rules of a multiplayer game and the AI is vastly increased, meaning that most of the battles will be much harder. The thing with these things is that some of them could've been games in their own rights, others could've been crossed out entirely from the game and not be missed. But now they're here, and that means that Pokemon HeartGold is without a doubt one of the most content-filled games of this generation. There's just so much to do that you can spend hundreds of hours in this world and still be nowhere near completion. Ok, this is not a common category in a review, but it really needs to have its own section because it's so cool. When you buy the game, you'll get a little device bundled with it that's called a Pokewalker. Nintendo has always been good at trying out odd stuff with the Pokemon games, and this is no different. After getting a bit into the game, you'll be able to load a Pokemon over to the Pokewalker through a menu screen. Then you can go out and walk to level up your Pokemon - as the name suggests, it's a pedometer. Each step you take will equal 1 exp for the Pokemon, so for a high level one it sure is slow, but since you're not playing anyways at least you can do SOMETHING; the only drawback is that you can raise it only one level, then you need to transfer the Pokemon to the game and back again to gain another one. While that's cool all in itself, the device is capable of more than that. By walking you'll gain watts (1 for around 20 steps - which seems to be the correct amount of energy generated), and these can be used to play minigames on the Pokewalker. One of these is a guessing game where you have six grass tufts and an item is hidden in one of them; you have two tries to pick the right one and after the first you'll find out if it's close by or far away. The other game is one where you need to click on a tall grass spot where a Pokemon is hiding when an "!" comes out, after doing this a couple of times the Pokemon will come out and battle the Pokemon you've got loaded onto your Pokewalker. Obviously, this battle is extremely downgraded compared to on the DS with both Pokemon having only three "units" of HP, but it's possible to attack, evade and trying to catch the Pokemon. Attacking and evading act like a rock-papper-scissors game (the wild Pokemon has a run command too), but what's nice is that you can actually catch Pokemon through the Pokewalker, some of them which are available much later in the game, and some that are not available at all. 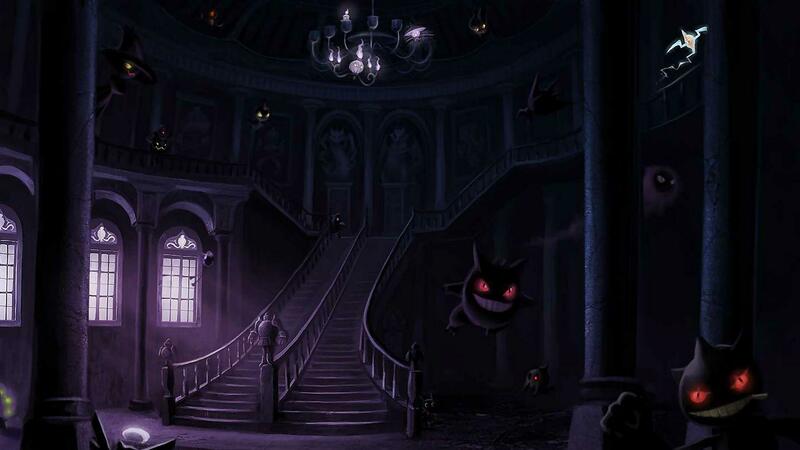 There are a few factors which decide what Pokemon will show up and what items are available. First of all, the watts you haven't used when transfering the Pokemon back to the DS cart will be stored there. When you've stored enough watts on your DS cart, a new route will be unlocked on the Pokewalker, and you'll have the choice of which route to send your Pokemon on a walk to. There are eight routes available to unlock from the start, 12 more will be possible to unlock in the postgame and there are seven "special" ones which might or might not be available for you. Since all of these routes has six available Pokemon and 10 items (though obviously some of both overlap) it's easy to see that you can get much work done even when not being near your DS. Of course, the rarest Pokemon are found on the routes unlocked last, which means that you better start walking... which is probably exactly what Nintendo wanted. So, what is there to say about Pokemon HeartGold? It's a a game with beautiful 2D graphics with a real day/night cycle, nice strategic gameplay and much to do. The only drawback of the game might be that it's actually TOO long, but that's mostly up to the player - completing the main story won't take that much time, but it's all the other stuff like catching all the Pokemon, completing the Pokeathlon or becoming the master of the Battle Frontier that's the time consuming part. Since there are also so many parts of the game, you can easily set up goals for yourself and have a full game experience while completely neglecting other things. There are a few minor tweaks that could've been done to make the game perfect; some parts are a bit unbalanced, the need to give some Pokemon field moves that are worthless in battles to be able to progress. No really great grinding spots in the postgame. It's somewhat nitpicky, and some of those are classic remnants from earlier Pokemon generations, but my score to Pokemon HeartGold is 9 out of 10. None other review I've written has had a 9 so close to a 10, but the game is some tweaks away from it. They are easy to overlook and forgive if you play it, so if you're the least interested in Pokemon in general or love games where you collect stuff, this is a must-buy.